I was in a meeting the other day when one of the members of that meeting stop the presenter with, ” Wait a minute! I’m a business owner not an engineer. What do all the acronyms you throwing at me mean?” Sometimes we forget that most people don’t know what they are let alone what they mean in relation to their business. Here’s a guide and I hope it helps you understand all the things powered by Cloud that we use everyday. Zoho One – 100% Cloud-based CRM, Accounting and Business Mgmt. Infrastructure as a service (IaaS) are online services that provide high-level APIs used to de reference various low-level details of underlying network”. This is a terrible definition in my opinion. “Desktop as a Service” – Simply, ” Your Everyday Desktop in the Cloud”. It means your entire business network environment is in the Cloud at a data center. Servers, Desktops, Firewall, etc. Things like having complete hardware redundancy, automated backups and built-in Disaster Recovery. Some like Quasar Cloud have built-in Business Continuity to insure maximum up-time. You access your desktop on any device as long as you have an Internet connection. This is the most cost-effective and reliable platform for businesses. From a financial side, these is a substantial reduction in up-front capital costs. It also eliminates the end-less upgrade cycle businesses typically go through owning and managing their own solutions on-site. “Disaster Recovery as a Service” – Wikileaks defines this as “Recovery as a service (RaaS), sometimes referred to as disaster recovery as a service (DRaaS), is a category of cloud computing used for protecting an application or data from a natural or human disaster or service disruption at one location by enabling a full recovery in the cloud. 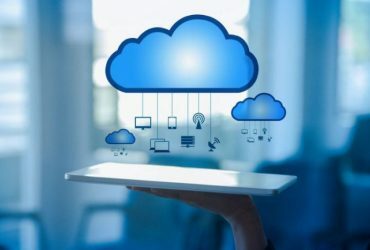 RaaS differs from cloud-based backup services by protecting data and providing standby computing capacity on demand to facilitate more rapid application recovery. RaaS capacity is delivered in a cloud-computing model so recovery resources are only paid for when they are used, making it more efficient than a traditional disaster recovery warm site or hot site where the recovery resources must be running at all times. SafeGuard 360 – Our Cloud-based backup and Disaster Recovery service that you can install on any Microsoft based Server or Desktop. It also you to back up your file or mirror your entire hard drive to our Cloud. SafeGuard 365 – Our native Office365 backup service that can backup your email, OneDrive and SharePoint file directly to our Cloud. Quasar Continuity – Our Business Continuiity solution that can mirror any Quasar Cloud solition or your current on-site NetApp-based infrastructure to our Cloud for instant fail-over. I hope this has helped you understand the different Cloud-based services and how they benefits businesses small and large. Some of these used to be very cost prohibitive in the past for small business; not anymore. If learn more about how one of these services can benefit your business, please use the form below to connect with me.